Whether you choose to be uninsured or you go without health insurance because you have no other choice, you face risks because you don’t have health insurance. Clearly understanding those risks can help you make informed decisions. 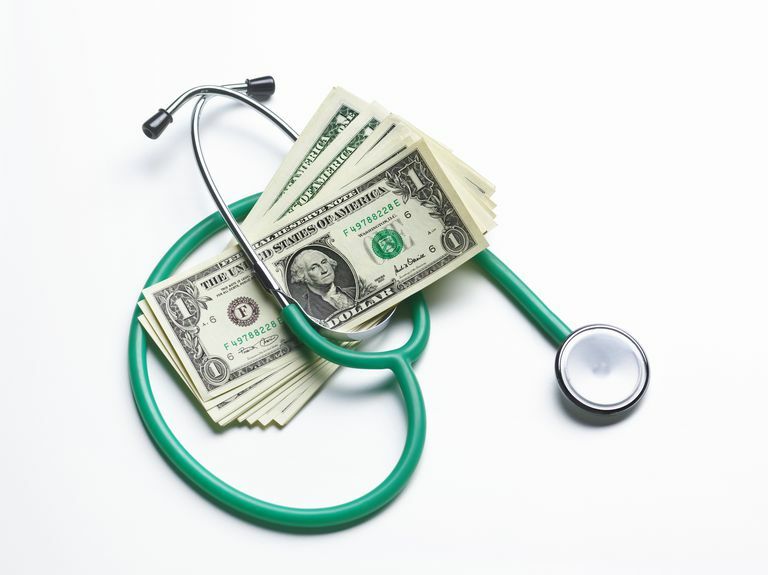 Medical bills undoubtedly contribute to many personal bankruptcies. Even if you’re relatively wealthy, if you have a serious illness or a bad accident, your medical bills could be unmanageable if you go without health insurance. If you're uninsured in the United States before 2019, you'll also face a tax penalty unless you're exempt from the penalty. This penalty can be as much as 2.5 percent of your yearly household income, but it won't be more than the national average for a bronze-tier health plan on health insurance exchanges that year. The penalty is being eliminated after the end of 2018 by the Tax Cuts and Jobs Act that was enacted in 2017. But there is still a penalty if you're uninsured in 2018, and it will be assessed on tax returns that are filed in early 2019. Being uninsured can negatively affect your health. In its 2017 report, the Kaiser Family Foundation notes that "uninsured people are far more likely than those with insurance to postpone health care or forgo it altogether. The consequences can be severe, particularly when preventable conditions or chronic diseases go undetected." You’re not the only one put at risk when you’re uninsured. Because how you live your life affects those around you, your loved ones are at risk when you go without health insurance. For example, they’ll suffer financially if they need to help you with medical bills. If they depend on you financially and you have a financial crisis due to health care bills, they’ll suffer the repercussions of your financial crisis. Worse, your loved ones will suffer if your health deteriorates because you can’t get care thanks to being uninsured. In the bigger picture, if you can’t pay your medical bills because you’re uninsured, your community and society as a whole suffer. For example, the healthcare providers who spent their time and resources caring for you will suffer by being unpaid. Businesses in your community will suffer when you change your spending habits due to large medical bills. Your coworkers and your employer will suffer when you call in sick more often because you don’t have access to health care or if your health deteriorates and you’re not as productive at work. Society as a whole can suffer if you’re uninsured. Even if you don’t make a lot of money, you still contribute to society in many ways. For example, if you do a good job of raising your kids, you’re contributing to society by raising future community members. Having a job, volunteering, looking out for your neighbors, and providing emotional support for your friends and loved ones are all contributions to society as a whole. If you go without health insurance and that causes delays in treatment or access to health care, those delays can make you sicker, potentially even leading to disability. Society as a whole will suffer because you won’t be able to contribute as much as you did when you were healthy. If you become disabled because you didn’t have access to health care, not only does society pay your disability payments, but it loses out on your current and future productive contributions to society. Many disabled people end up on Medicaid, Medicare, or both. If you’re on Medicaid, society as a whole is paying for your healthcare. If you become disabled and go on Medicare early, society loses out on the Medicare contributions that you would have paid if you'd been able to continue to work, as well as having to pay for your Medicare benefits. All of the people who are covered under a carrier's health insurance plan are part of a risk pool. A stable, sustainable risk pool relies on having a large percentage of healthy enrollees to make up for the relatively small number of enrollees with significant health conditions. One of the main reasons we saw spiking individual market premiums in 2016-2018 and health insurers leaving the exchanges (for 2017 and 2018, although that trend is no longer the case for 2019) is because not enough healthy people enrolled in coverage. As a result, the overall risk pools skewed more towards the less healthy end of the spectrum, and claims costs overwhelmed some carriers (the rate increases in 2017 and 2018 appear to have been adequate, and rates are only increasing slightly for 2019; they would likely be decreasing if not for the impending elimination of the individual mandate penalty and the expansion of short-term health plans and association health plans). The only way to keep the health insurance system stable and viable is for healthy people to enroll in coverage to offset the claims costs for those who are less healthy. And although you may be perfectly healthy now, that might not always be the case. If and when you ever need significant medical care, the costs will be borne by all of the healthy enrollees in your carrier's risk pool, assuming you're insured at that time. Whether you choose to go without health insurance or you’re uninsured because you have no other choice, you’re taking risks. Some, but not all, of those risks can be decreased. ​This toolkit will help you prepare for being uninsured and, as much as possible, help you mitigate the risks associated with being uninsured. The Henry J. Kaiser Family Foundation. The Uninsured: A Primer—Key Facts About Health Insurance and the Uninsured Under the Affordable Care Act. Published December 14, 2017.